Inflation has gone up again in the Isle of Man. 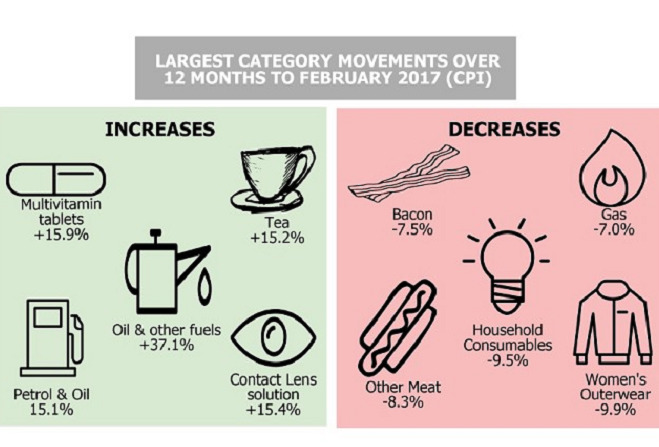 As measured by the Consumer Prices Index, it rose by 0.3% to 1.9% in February. It marks the sixth consecutive month of positive inflation here and the highest level it's been at since mid-2014. The impact of Brexit on the sterling exchange rate and rising cost of oil have been the two key factors in the increase, according to the Economic Affairs Division of the Cabinet Office.